Brotherhood Fortress - KCampbell - GODS.comKirsten Campbell, author of The G.O.D.s Series, welcomes you. 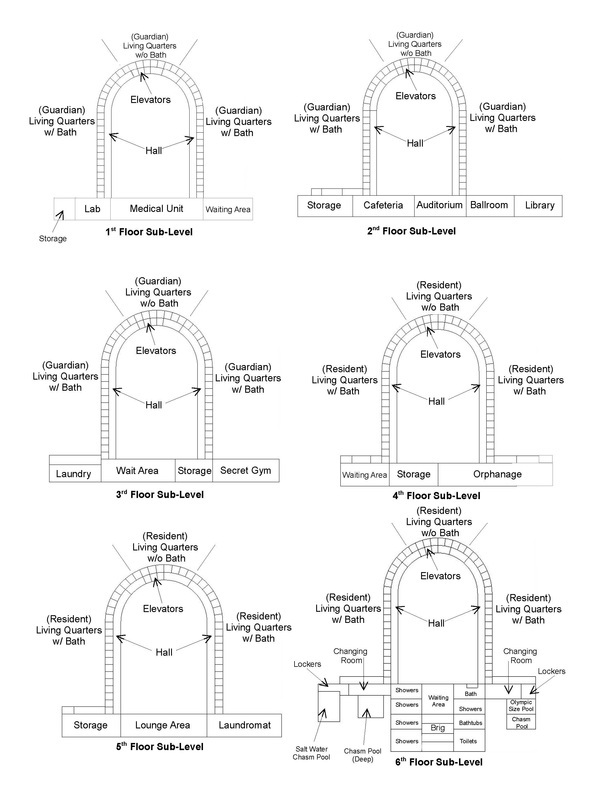 This is a schematic of a single Guardian/Resident Living Quarters. The rooms are given to Residents and Guardians when they agree to become a part of the Brotherhood Fortress. They work every day to become better people and to help educate the youth in the fortress. Every Living Quarter is the same. Only difference is, the Guardian's dress their homes different because they get first choice of anything brought back from raids.